We’d love your help. Let us know what’s wrong with this preview of Sailor Moon, Vol. 02 by Naoko Takeuchi. To ask other readers questions about Sailor Moon, Vol. 02, please sign up. I love the story of Serenity and Endymion. Though I can't believe that Usagi fell for the Evil Queen's plan at the end. I mean, seriously, girl, just knock him out and sort it out later! The second volume of Pretty Guardian Sailor Moon continues immediately where the first left off, revealing the identity of the mysterious Tuxedo Mask while also developing the relationship between him and Usagi. It also introduces us to the final inner Sailor Senshi, Venus, completing Usagi’s search for allies (for now). Both the Moon Princess and the Legendary Silver Crystal are also revealed. 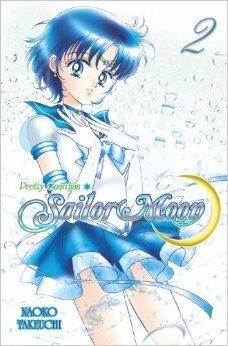 The best part of this second instalment is its world-building and lore expansion, as well as the fact t The second volume of Pretty Guardian Sailor Moon continues immediately where the first left off, revealing the identity of the mysterious Tuxedo Mask while also developing the relationship between him and Usagi. It also introduces us to the final inner Sailor Senshi, Venus, completing Usagi’s search for allies (for now). Both the Moon Princess and the Legendary Silver Crystal are also revealed. The best part of this second instalment is its world-building and lore expansion, as well as the fact that there’s character and relationship development. You get to know more about the origins and history of the Sailor Senshi, of their Moon Princess, and what the Legendary Silver Crystal might actually be. The enemy’s plan is also put into perspective a bit more, and that’s when you discover that some of the enemy’s pawns have a history inextricably tied with that of Usagi and her friends. 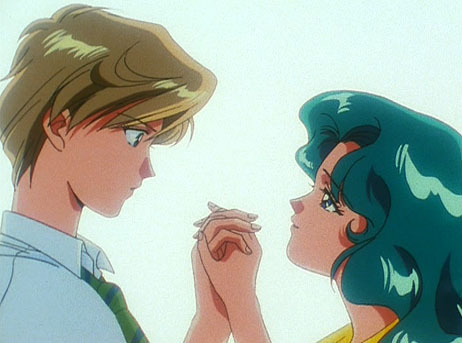 There are also quite a couple of sweet moments with Usagi and the others – Ami, Rei, Makoto, and Minako – where you feel that they are truly becoming a closely knit group of friends that trust each other and want to fight side-by-side. The story of Usagi, Tuxedo Mask, and the inner Sailor Senshi is one that stretches all the way back through time when there was a beautiful kingdom on the Moon, where a peaceful people ruled with a steady hand while trying to protect the kingdoms and citizens of the Earth. However, both kingdoms were destroyed in a terrible war, with the Moon Princess Serenity and the Prince of Earth, Endymion, caught in the middle. And the enemy that fuelled the war back then… is at it again now, in present time. Naoko Takeuchi did great in my opinion by providing us with a fast paced, dense first volume, and then following it up with a more nuanced, world-building focused second instalment. It ends again with a cliffhanger and leaves you desperate for the continuation of the story, especially now that you have a better grasp of the characters, their history with each other, and the world it all plays out in. The second volume is better than the first as it does a lot less repeating. However the action sequences don't explain what is happening at all. This isn't my favourite manga series which is a shame as I loved the anime when I was younger. Ok, like i said Japanese names. This version is something else. A must read for manga lovers. Leí el de Panini. Y si bien el diálogo es incómodo en ocasiones, este tomo fue muy divertido de leer. Oh my gosh, I'm so glad that I have the next volume sitting waiting for me to continue reading!! Takeuchi is married to Yoshihiro Togashi, the author of the YuYu Hakusho se Naoko Takeuchi (武内 直子, Takeuchi Naoko) born March 15, 1967, a manga artist (mangaka), lives in Tokyo, Japan. Takeuchi's works have a wide following among anime/manga fans. She has become a well-known mangaka worldwide. Her most popular work, Sailor Moon, rose to become one of the most recognized manga/anime figures to date.